TOCCATA-OUTSTANDING 2 bed & den/2.5 bath end unit for those seeking ultimate privacy and green space. 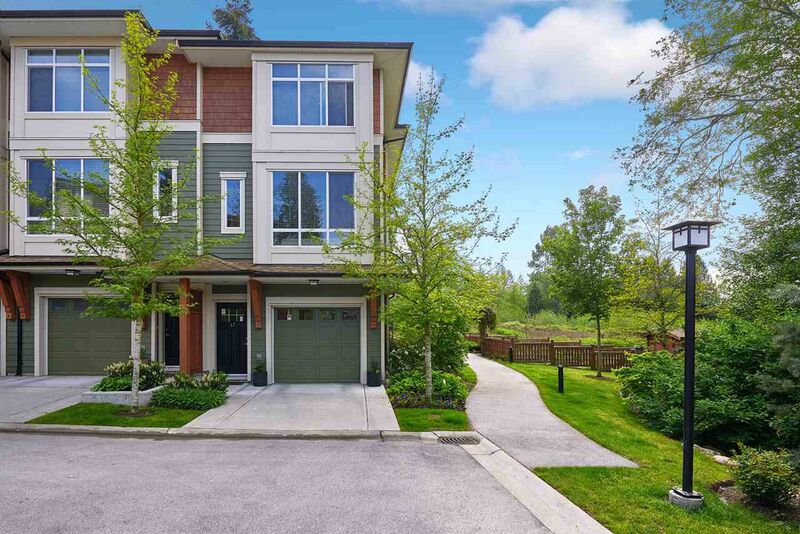 This Morgan Heights beauty offers many impressive features such as s/s appliances, built in microwave, gas stove, gas bbq outlet, solid maple cabinetry, granite throughout, as well as thoughtful upgrades including closet organizers, custom kitchen pantry and home theatre speakers. Spacious bedrooms, fantastic den/office space, 9' ceilings on the main living level, over sized windows, quiet deck & patio, fully fenced yard and the only walk out garage with deck/patio combination in the entire complex. This is an exceptional home and shows beautifully. Open House Saturday, May 27th 2-4pm, Sunday May 28th 1-3pm.